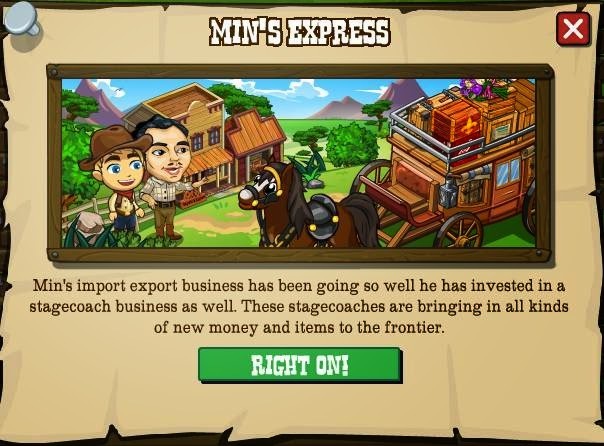 Min has decided to pay his way on the homestead by starting a new Import/Export business using some fancy stagecoaches. 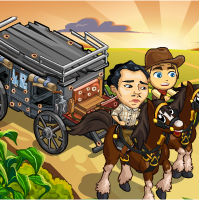 Only problem is his Stagecoaches are going missing then showing up empty and burnt out, trashed or riddled with bullet holes! 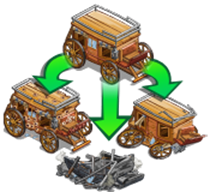 These coaches are healed as part of the missions and can drop some special crates or one of three animals (needed for the wrapper). The crates are also part of the missions but have an extra edge to them. 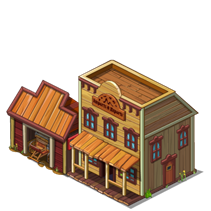 The crates are not only craftable but are sent to neighbours and can contain Free Gift Crops or Boosts! 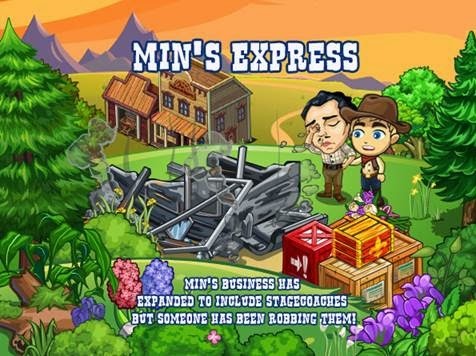 So, what are you waiting for, posse up and go help Min!